You Say Smooth Radiant Face- We Say, Dermaplaning It Is! Every woman yearns to have smooth and radiant skin, and to attain that we have plenty of treatments today. The most recent and getting more popular is the Dermaplaning treatment. Until sometime it was Microdermabrasion that had caught the fancy of everyone. Microdermabrasion has been one of the best non-surgical treatments for the facial skin. Both the treatment address similar issues related to skin, however the results and the procedure of both the treatments are different. During the Microdermabrasion treatment the surface of the skin is exfoliated with a heavy steam of harsh crystals but Dermaplaning makes use of surgical blade and peels away the facial hair. Okay so how many women are actually okay with facial hair? None right. We either bleach them or chuck out them through some home remedies. Well, with Dermaplaning you can actually get rid of them for a long time. Dermaplaning is a simple procedure wherein the epidermal skin is exfoliated with a use of surgical blade. The treatment is also called as epidermal levelling. This treatment is especially designed to make the skin lot smoother, healthier and youthful. It is very important that the treatment be done by a dermatologist or an authorized skin care clinic. The surgical blade which is used for the procedure is known as dermatome. This dermatome is used to carefully stroke over the skin, similar to shaving actually. The treatment is very simple and it hardly takes twenty minutes. This treatment allows to get rid of dry and dead cells from the skin and thus revealing a soft and smooth skin underneath. Dermaplaning is safe without any side effects. In general the treatment is done on the face, while doing so the eyelids and neck has to be avoided from the treatment. Have you ever thought about the logic behind men aging slower compared to women? The answer is because they are subjecting their skin to exfoliation everyday through shaving!! So you see how beneficial this technique is, right? So now we women have a choice to delay the aging process too, without any hassle. I know what is on your mind, isn’t subjecting the skin to a razor a bit harsh? Well the experts beg to differ on that, as per them the trick is getting it done at the right place by the right person. 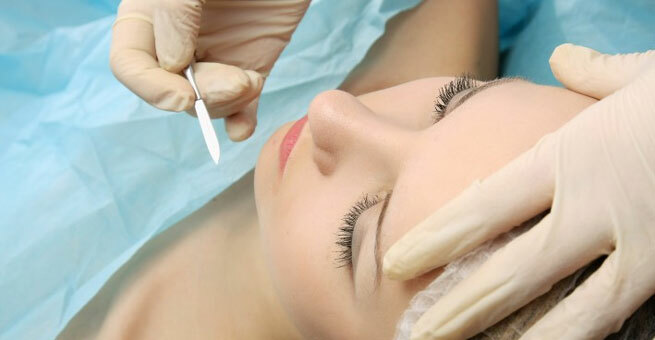 The Dermaplaning procedure is the gentlest treatment if done correctly. In fact it has no side effects in comparison to microdermabrasion, say the experts. It does not cause any eruption or inflammation on the skin and does not disturb the pH balance of the skin. All it does is removes the unwanted facial hair and just gives you what you always desired- a smooth and radiant youthful skin. Post the Dermaplaning your skin is free from dead skin, hair as well as all the dirt and grime. This makes it easier to absorb the products that you apply on the skin much deeper into the skin thus providing you a smoother and a brighter skin. So won’t the hair grow back more thick and rough? Well, the answer is NO!! The experts claim that the blade made use in the treatment is very mild and gentle which will make sure you won’t get thicker and harsh hair. The razor is crafted in such a way that it will cut the hair in the most blunt and crude manner. So when the hair grows back which of course will take almost three weeks it will be same as that of prior to Dermaplaning. Yes, it is safe. In general people have not complained of redness on the skin which is very common after getting a microdermabrasion treatment. All women can enjoy the benefits of the treatment without any side effects. Having that said, women who have deep cystic acne must wait up until the breakouts are completely healed. The icing on the cake is that this treatment is completely painless!! You hardly feel when you are through the treatment, now that’s something that most of us will love, right!